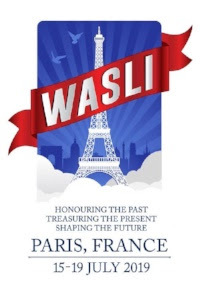 Earlybird rate for WASLI 2019 – Paris: one more week – do not miss out! Today marks exactly one week until Earlybird Registrations end. Earlybird registrations end at midnight AEST on 21st January. More information can be found here. Copyright © 2019 World Association of Sign Language Interpreters (WASLI), All rights reserved. You are subscribed to WASLI’s Newsletter list. If you do not wish to receive this Newsletter, please unsubscribe.